Quick link carabiners anti-corrosion Passivated for superior corrosion resistance, good quality Material and durable. 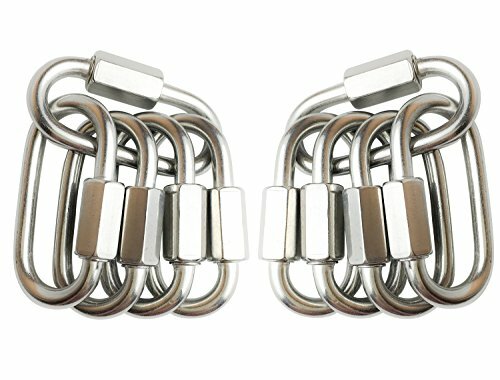 Quick links for chain/rope,cable connections; threaded-nut closure for added security. Simple and quick fastener,useful for attaching chain or cable. Great choice for hiking, camping, fishing and other harsh-condition applications. Please Note :when you use it,need to twist the screw tightly. Multifunctional, use it for backpack, key ring, chains, ropes, camping, hiking, fishing, pet, indoor outdoor equipment gear, DIY accessories. If you have any questions about this product by TXXMA, contact us by completing and submitting the form below. If you are looking for a specif part number, please include it with your message.